EMUlaunch - A front-end application used for launching games on fifteen popular emulators on the Mac. 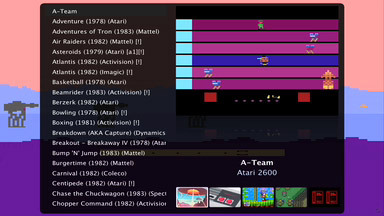 EMUlaunch is a front-end application used for launching games on fifteen popular emulators (Nes, SNES, Atari 2600, MacMAME, N64, Atari 5200, GB, Coleco, Sega Master, GBA, T16, Atari Lynx, Sega Genesis) on the Mac. 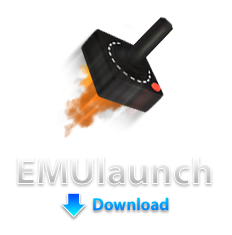 EMUlaunch has been discontinued for the time being. No new updates or developments are being worked on at the current time. EMUlaunch still works under Mac OS X 10.4.10 – 10.5.6. I can not offer any support for the time being but please view the movie below for information on how to properly setup EMUlaunch.